Ahhhh! Most people feel panic when they have to network in English (another language). I know I used to when I had to network in Spanish, now I use the 1 minute introduction. Most people find it hard to introduce themselves and their company in English at events and trade fairs. Most people talk and talk without thinking first what key message about their company they want to communicate. Selecting what information is interesting and relevant to the other person can be a challenge. Who have a problem with: Focus on what hurts for them, their main problem that gives them headaches. People pay attention and respond more to negatives. What we do is: Explain how your product/service solves their problem. Be clear, simple and concise and write one sentence of 15 words or less. So that: Explain the function the client that the customer receives. For example, Blackberry enables you to instantly receive and send emails from anywhere in the world. Which means: List the top 2-3 benefits. “We work with busy managers and professionals of companies that work more and more in international environments. 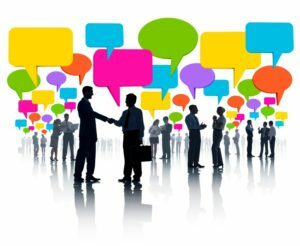 Who have a problem with the pains of connecting and communicating in English with international customers and suppliers. What we do is we use our 15-20 years experience as managers and professionals to work with them to develop ‘real and demanding business situations’ where they can practice English and communication techniques to feel more comfortable, confident and effective in English. So that they get very practical and quick to implement training. Which means that your company achieves its targets and can work with the international clients and suppliers you choose to work with”. Email me your example ‘1 Minute Introduction in English’ to chris@englishtco.com and I will correct it and give you feedback. I hope this helps you in your company and with your professional career, Christopher! The English Training Company – we help companies and professionals to become advanced business English speakers!